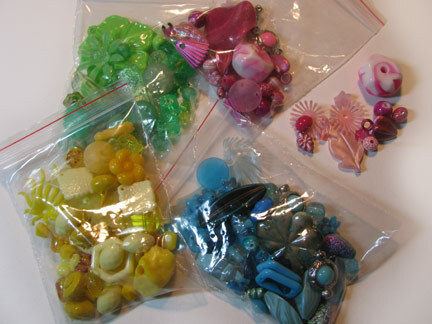 You can find these colorways plus more on the Bead Mixes page of the site. Vintage Beads from Europe also features this really cool drag and drop shopping cart, which is an amazingly convenient way to rustle up the beads you want! I've got a quilt underway which will be the new home for many of these beads. I expect it will be awhile before it's finished, but I'll share some process shots with you along the way! Those beads are pretty. I'm sure it would make a stunning piece of jewelry. Got to take a look at it.